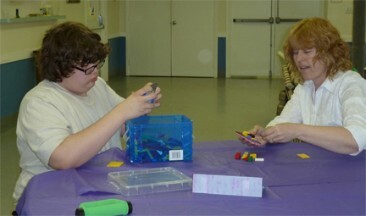 The Autism Society of America ( http://www.autism-society.org/site/PageServer?pagename=about_home): Autism is a complex developmental disability that typically appears during the first three years of life and affects a person’s ability to communicate and interact with others. Autism is defined by a certain set of behaviors and is a "spectrum disorder" that affects individuals differently and to varying degrees. There is no known single cause for autism, but increased awareness and funding can help families today. In June 2012, the Centers for Disease Control and Prevention issued their ADDM autism prevalence report. The report concluded that the prevalence of autism had risen to 1 in every 88 births in the United States and almost 1 in 60 boys. The issuance of this report caused a media uproar, but the news was not a surprise to the Autism Society or to the 1.5 million Americans living with the effects of autism spectrum disorder. Nonetheless, the spotlight shown on autism as a result of the prevalence increase opens opportunities for the nation to consider how to serve these families facing a lifetime of supports for their children. National Institute of Neurological Disorders (http://www.ninds.nih.gov/disorders/autism/detail_autism.htm) : Autism spectrum disorder (ASD) is a range of complex neurodevelopment disorders, characterized by social impairments, communication difficulties, and restricted, repetitive, and stereotyped patterns of behavior. Autistic disorder, sometimes called autism or classical ASD, is the most severe form of ASD, while other conditions along the spectrum include a milder form known as Asperger syndrome, the rare condition called Rett syndrome, and childhood disintegrative disorder and pervasive developmental disorder not otherwise specified (usually referred to as PDD-NOS). Although ASD varies significantly in character and severity, it occurs in all ethnic and socioeconomic groups and affects every age group. Experts estimate that three to six children out of every 1,000 will have ASD. Males are four times more likely to have ASD than females. The Autism Awareness Ribbon - The puzzle pattern reflects the mystery and complexity of the autism spectrum. The different colors and shapes represent the diversity of the people and families living with the condition. The brightness of the ribbon signals hope—hope that through increased awareness of autism, and through early intervention and appropriate treatments, people with autism will lead fuller, more complete lives.